With the growth of such customer review sites as Yelp and TripAdvisor, and e-commerce sites like eBay, anyone with access to the Internet can potentially make or break a company's reputation. But how companies respond to online customer feedback, especially negative comments, can make all the difference. Take eBay seller Med Express Inc., which sued the online auction site and one of its customers who posted a negative comment about the company on eBay. The lawsuit—and a countersuit from the customer—was over a $1.44 postage due charge, according to court records. 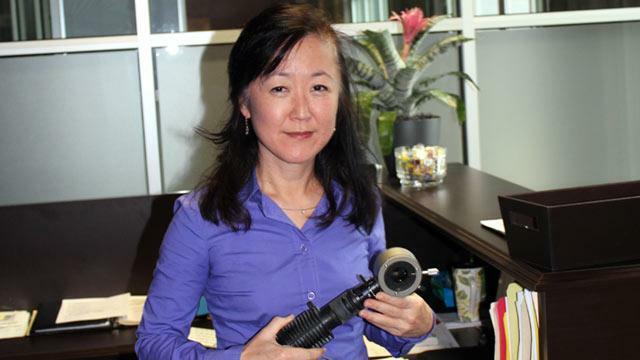 It all started when Amy Nicholls, an office administrator for a manufacturer in Greenville, S.C., bought a microscope light for her employer in February from Ohio-based Med Express Inc., which sells refurbished medical equipment on eBay. After paying $175 plus $12 in shipping for the item, Med Express said in the court filing that it "took the equipment to the Valley City post office, where it was weighed and shipped to Nicholls." Although Med Express claims that it paid the full shipping cost, "for some reason unknown to Med Express, the equipment was received by Nicholls with $1.44 postage due," according to the court record. Med Express apologized immediately and offered to reimburse Nicholls for the postage due, but she went ahead and posted a negative comment about the charge on eBay's website: "Order arrived with postage due with no communication from seller beforehand," she wrote. "My concern was never about the money, but the hassle," Nicholls said. "I was trying to prevent it from happening to others." That comment, according to the court filing, resulted in lower ratings for Med Express in the Detailed Seller Ratings section of eBay's Feedback Forum, and an unfavorable feedback profile for Med Express. On March 25, Med Express Inc. filed a claim against eBay and Nicholls, asking for an injunction to remove the negative comment, accusing Nicholls of "falsely and deliberately" slandering Med Express' good name and reputation. It sought to have the comment removed from eBay. A spokeswoman for eBay declined to comment to ABC News about this case, saying eBay had not yet been served with the lawsuit. News of the suit spread across the Internet, and last week, Paul Alan Levy, an attorney with the Public Citizen Litigation Group in Washington, D.C., blogged about it, calling it "untenable." "The bottom line here is that the feedback she posted regarding Med Express Inc. constitutes protected speech under the United States, Ohio and South Carolina constitutions. This lawsuit has no basis in law or in fact," he wrote. Levy of the Public Citizen Litigation Group, said Richard Radey, president of Med Express Inc., initially did the right thing by responding to Nicholls comment on eBay. The first thing a seller should do when faced with online criticism is to respond to the criticism, he said. "If you don't persuade the critic, you might persuade your other customers. They would see you are dealing with criticism in an appropriate manner," Levy said. "But where he went wrong, in my view, was that he didn't trust his future customers to read what he has to say, and he proceeded try to take the criticism down." But the hassle over such a trivial matter points out just what the stakes are for online merchants. While companies are also concerned about their online reputation, there are direct financial consequences for eBay seller ratings. The auction site offers financial incentives for "Top Rated Sellers," such as a 20 percent discount on final value fees for some merchants. Levy said his group had seen a growing number of cases of merchants hoping to get an injunction or remove negative criticism, whether true or not. But Levy said the public should be able to see other customers' experiences with a seller. Otherwise, it's a "serious injury to the public," he said. "People argue, 'I wasn't looking for money; I wanted to take down criticism.' But that's just as bad because it deprives us of an accurate historical record," Levy said. Med Express, after publicity over their suit, finally threw in the towel. Radey apologized and said he was withdrawing the lawsuit against Nicholls and eBay. "Please understand that our customer was never the target of this lawsuit. We had instructed our attorneys to ask for $1 in damages. Her feedback was also never an issue. We fully support her right and all of our customers' right to leave any feedback they desire – true or otherwise!" Radey wrote in a statement. "The issue involved Detailed Seller Ratings or DSRs. The low ratings caused us to lose our Top Rated Seller Plus standing." Those ratings are significant for online merchants on eBay. "Based on our current volume, this was a potential fee increase of tens of thousands of dollars over the course of a year," he said. Radey said DSRs can be removed only by court order, "and I was told such court orders were not uncommon." "I do deeply regret the wording of the lawsuit. I had not read it and only learned of the wording on the blogs," Radey said in his statement, referring to the blogs that had spread news of his lawsuit. But on April 18, Nicholls, with the help of Jeffrey Nye and Thomas Haren, two lawyers in Ohio who offered to take the case for free, filed a counterclaim against Med Express, Radey and Med Express attorney James Amodio, claiming frivolous conduct and "malice or aggravated or egregious fraud." Nicholls' attorneys said they had seen Radey's comments and were aware he had dropped the lawsuit against Nicholls, but they plan to continue with their countersuit all the same. "All told, Med Express has sued its out-of-state eBay customers at least seven different times, as part of what appears to be a practice of trying to use the courts to bully people who aren't easily able to defend themselves," Nicholls' attorneys said. "This type of conduct is totally abhorrent to our notions of justice and freedom of speech." Other companies take a decidedly different approach when customers leave negative comments. Eli Federman, executive vice president and chief communications officer at 1SaleADay.com, an e-commerce site that takes up to 40,000 orders a day on everything from electronics to jewelry, said his company embraces negative feedback to engage customers in discussion. "Every company is going to have issues, but how is a company going to respond in an open and transparent way? How do you reflect a more accurate reflection of your customer's experience," Federman said. "Instead of living in constant fear that negative feedback will harm online reputation and goodwill, we have embraced negative feedback and tried to start customer dialogue." For example, early last week, the site listed a "credit card" utility pocketknife, which is the size of a credit card. A customer who said he was a law enforcement officer posted a comment explaining his disappointment that the company would sell an item "that criminals can easily hide." "As a result of you selling this product, I will no longer be your customer, and will be spreading the word, via word of mouth, and social media, for people to stop buying from your website," the customer stated. In response, 1SaleADay asked customers in its own Facebook post what customers thought about the sale of the item without disclosing the identity of the customer who complained. Within 24 hours, the company received over 750 "substantive" comments. "What we found most striking -- even thought the vast majority of consumers thought it was acceptable to sell this type of product which is also sold by Sears and Walmart -- even those who agreed that it shouldn't be sold appreciated the fact that we asked for customers' feedback," said Federman. The company made a "significant" number of sales during that time period, he said, "because customers really responded very well, even though we were critical of ourselves. But people respected that honest and critical self-reflection."